After breakfast, we headed over to Diamond Head- planning on walking to the top. Little did we know that Diamond Head on a Sunday is Tourist Central. The parking lot was jam packed, so people were parking a mile or more away just to get to the start of the trail. I would much rather cruise for an extra mile in the forest than on concrete, and we had also been to Diamond Head on a previous trip. My brother Jon is a Yelp master, so he found us a much better option than Tourist Town. We ended up at the Kuliouou Ridge Trail. It was much longer and more difficult than expected (it took about 90ish minutes to get to the top), but I would definitely recommend it. Getting to the top isn't easy, but view from the peak is well worth it. More importantly, it was a trail awesomely void of tourists, so it was nice and quiet. 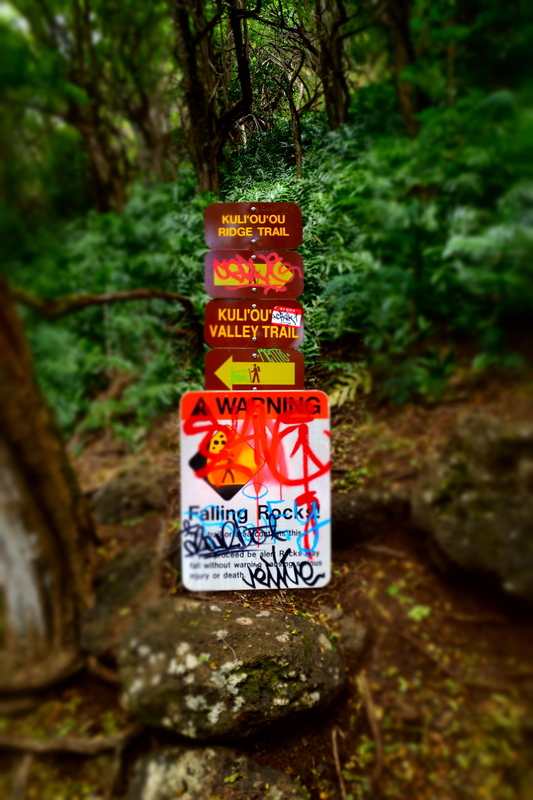 We heard the Kuliouou Valley Trail (splits off pretty close to the street) is much easier if you want a mellow, uncrowded Oahu hike. Click on any of the pictures to start a slideshow.